Here’s our list of recommended shops in Kensington & Chelsea. Shortlisted for The Retailer of the Year 2010 by Homes and Gardens’ Classic Design Awards, Brissi offers inspirational gifts and statement accessories for your living, dining, bedroom and bathroom. Owners Arianna Brissi and Siobhan McKeating share a love of interiors. They personally source every piece from specialist suppliers as well as developing exclusive designs with individual craftsmen in the UK and abroad. The Brissi look is elegant and glamorous…a little bit French, a little bit New England and always in subtle chalky, grey and white tones. Find out more about Brissi at www.brissi.co.uk. Stocking only designer clothes, this charity shop will provide you with some fantastic finds given its location in Chelsea! Items from (among others) Prada and Gucci can be found as well as top-end high street names. Definitely worth a look, you’re bound to find something you like. 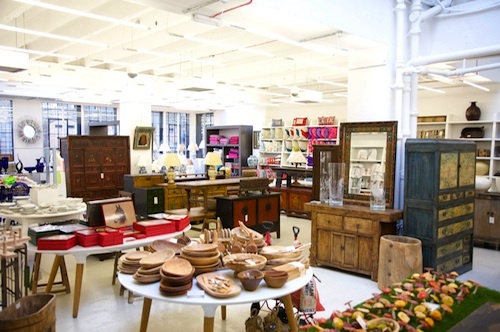 The General Trading Company has been trading since 1920 and has two retail stores in London, one in Pelham Street, South Kensington and another in Holland Park Avenue as well as a newly launched online shop. Stocking a wide variety of items ranging from antique furniture and home wares to bath and scent products, luxury gifts and educational toys. GTC are proud to support British design and manufacture as well as sourcing recycled and fairly traded products from developing countries enabling them to prosper in the process. Harrods is one of those amazing stores; visiting it is more like visiting an amazing London landmark rather than just going to a department store. Much of the interior is beautifully decorated – be sure to visit the Food Hall, with its wonderous decor and sumptious (and expensive) offerings. The store has a pretty famous Winter sale (which is always opened by a celebrity; it starts a few days after Christmas and goes on into January) which is a handy time for grabbing a bargain! Harvey Nichols is generally considered the more fashionable and fun neighbour to Harrods. Smaller in size and with fewer departments, there’s still plenty of designer goods. The fifth floor is home to a superb food hall and restaurant, bar & cafe. heidi klein is the one-stop destination holiday shop offering the perfect holiday wardrobe. From designer bikinis and one pieces to chic sunhats, flip flops and luxury kaftans you will find everything you need to pack for holidays in the sun, all year round. heidi klein’s Chelsea store is located at 257 Pavilion Road, off Sloane Square and as well as stocking the heidi klein collection you can also find brands such as Tom Ford, Castañer, Orlebar Brown and Vilebrequin for men and boys. 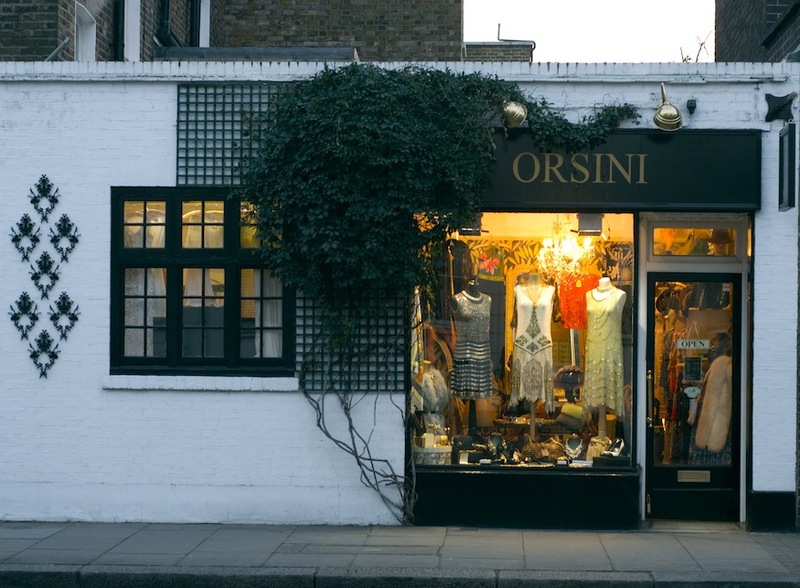 Orsini vintage has been established in Kensington, West London for over ten years. They specialise in high-end vintage designer dresses, furs and accessories from the 1920s through to the 1980s. They have a large collection of decadent cocktail dresses and elegant evening gowns for all occasions, to include bridal wear. They have recently launched the Orsini Opulence collection which is their very own line of vintage-inspired dresses made from vogue patterns, dating from 1930s through to the 1980s. They offer a made-to-measure, personalised service in which they work with their clients to design and make a unique, vintage treasure. A very traditionally English department store, Peter Jones underwent a complete refit a few years ago to bring it into the 21st century – and get rid of its dowdy image! Sells traditional department store stuff (clothes, shoes, electronic items and so on) but also great for home furnishings. There’s even a small haberdashery section if you’re into that kind of thing. (I am!) The nice cafe on the top floor is a perfect spot for lunch or afternoon tea, and it has great views over Chelsea and Knightsbridge. Established in 1974, this very long-running and friendly Kensington giftshop is a great place to pick up some gifts – there’s candles, clocks, jewellery boxes, photo frames, soft toys and plenty more. Opened in the summer of 2007, this place was something of a phenomenon. Well, initially at least. I remember going there on the first Saturday; it was so busy that they actually had to adopt an entry queuing system to prevent the store from getting too crowded! That’s all died down now and it’s a lot more manageable; the store has really found its place amongst the food stores of West London . Very good quality (organic) food, top class cheese room, and brilliant selection of wines – I love the takeaway sushi too. There’s a number of eateries on the first floor; frequent food and wine events are held here too. This store is a pretty big version of the chain, and probably the best out of those in London. Funky women’s and men’s clothes, and weird knick-knacks. I recommend this boutique in Chelsea that specialises in exquisite handbags and leather goods – really cool designs!